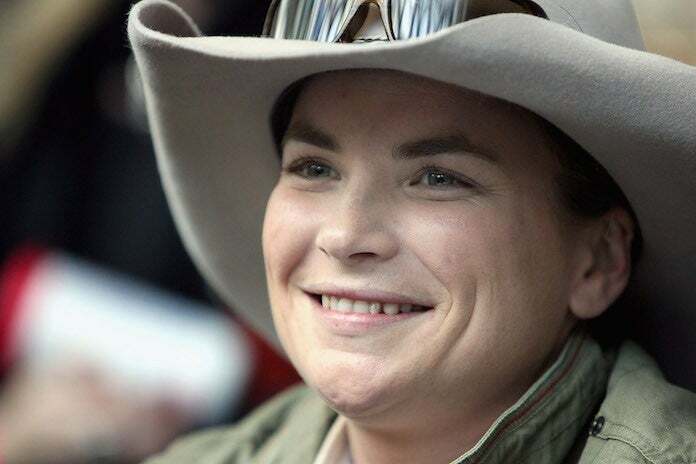 Former Australian Idol contestant Kate Cook has died. She was 36. Authorities found Cook's body in a wooded area near her home in Lowood, Queensland on Monday morning, The Sydney Morning Herald reports. Prior to her death, friends of Cook, who appeared on Australian Idol in 2009, reported her missing to local police around 7:20 p.m. on Sunday, telling authorities they were worried about her mental state, Nine.com.au reports. Police said they are not treating her death as suspicious. Fellow singers and Idol contestants mourned the loss of Cook on Twitter. “This is the Kate Cook I remember and loved. We were only just talking about organizing a ten year Idol reunion this year… you were such a beautiful person inside & out. Absolutely gutted but hope you’re up there with your Mum now,” Australian singer Casey Barnes, who also appeared on Idol, wrote on Twitter alongside a series of photos of Cook singing and performing. Cook captivated Australian Idol audience members and viewers with her guitar skills, love for country music and down-to-earth personality. Long before her elimination after making it to the top six on the singing competition, Cook revealed that she had struggled emotionally ever since her mother died by suicide two days before her 17th birthday. “Two days before I turned 17 my younger sister died and I found her. She committed suicide, so it was pretty tough,” Cook told Marcia Hines, Kylie Sandilands and Ian Dickson at the time. She auditioned with an original song called "Make You Stay," which she dedicated to her late mother. The song went on to land a spot on the Country Music Channel charts, according to The Queensland Times. She told the publication that she inherited her love for music from her mother. “Mum always played the guitar and when I was 10 years old she taught me a couple of chords,” Cook said. After her elimination on Australian Idol, she toured around clubs and bars throughout the country, but said she struggled with her success after suddenly losing the "support network" Idol offered her. “Once you’re out of the Australian Idol spotlight, you soon lose the support network of people who helped you during the show,” Cook told the Times. “But I’m extremely humbled by what Idol did for me and overwhelmed with how the country music industry has opened its arms to me," she said. "Music has helped heal me during difficult times, so I hope that my music helps do the same for others." If you or someone you know needs help, please contact the National Suicide Prevention Lifeline at 1-800-271-TALK (8255).